Qwest Energy, the local energy offer for residents across the Cheshire West and Chester region, will today introduce a new discounted energy tariff for households with prepayment meters. The introduction of the new tariff follows last week’s launch of Quest Energy, a partnership between the Council, Qwest Services and ENGIE, a leading energy company. The new discounted tariff has been specifically designed to assist households in parts of the borough impacted most by fuel poverty. People experiencing fuel poverty are defined as households with lower-than-average income but higher-than-average energy costs. This discounted tariff is a vital way to help those on fixed incomes who use prepayment meters, as these meters are often more expensive than being on a long-term fixed rate tariff. 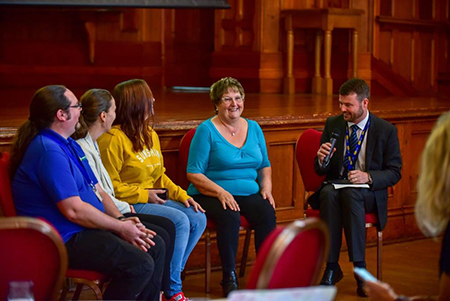 Through this partnership with the Council, every new customer who signs up to Qwest Energy will help contribute to a community fund that will support local affordable warmth initiatives and help us address fuel poverty into the long term. As well as offering this discounted tariff to those who need it most, the community fund will provide energy efficiency advice workshops and drop-in sessions throughout the borough, and home visits for people on income-related benefits to provide tailored advice on saving energy. It is estimated that the fund could see up to £600,000 invested back into the community over the next five years. All households in the local area can support the community fund by considering Qwest Energy’s tariff options. Visit qwestenergy.co.uk and enter in your postcode. Residents can also do this to check if they are eligible for the discounted prepayment tariff.